Provides a grounding in the physics behind the operational principles of high frequency technologies. The text presents up-to-date methods, as well as the research and developments of more efficient devices for use in applications, from mobile and satellite communications and wireless Local Area Networks to energy transformation and sensors. Examples and theories support the material. 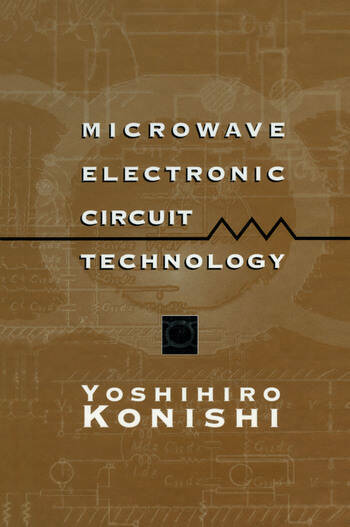 Basic knowledge of guided waves; basic knowledge of microwaves network technique basic network characteristics of a transmission; principles of electromagnetic resonators; principles of filters; principle of practical circuits; practical applications on systems. Appendices: introduction to group velocity; cavity and waveguide perturbation; relationships among external Q, Qe, coupling coefficient, k and g values in BPF; determination of capacitances of the uniform coupled lines in the anisotropic inhomogeneous medium by resistive sheet; design of power divider with two different output powers; principle of directional coupler with two symmetrical planes; Faraday rotation in an infinite medium.